Sublime Aesthetic Professionals Blog What's the Difference Between CoolSculpting and TruSculpt? With nearly 80% of American adults reporting that they feel unhappy with how their body looks at times, it’s no wonder a majority of the population is always so eager to try the latest-and-greatest diet and exercise programs. Unfortunately, though, thanks to genetics, childbirth, and other factors beyond your control, you can’t always achieve the results you desire. 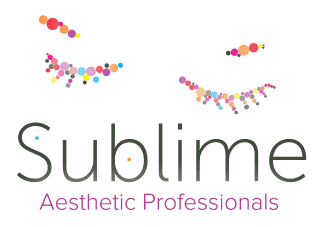 Here at Sublime Aesthetic Professionals, with locations in Grand Forks and Minot, North Dakota, it’s our passion to help you look and feel your best. Where most aesthetic practices offer a single solution to body sculpting, we offer two nonsurgical body-contouring options: CoolSculpting® and truSculpt®. We can help you decide which one is best for you, and we customize your treatment for optimal results. Here’s a brief explanation of the differences between CoolSculpting and truSculpt, to help you get an idea about which one might help you feel happier and more confident in your body. More than 7 million CoolSculpting treatments have been done worldwide by people who made it their permanent fat-reduction method of choice. CoolSculpting technology safely and effectively targets unwanted fat cells below the surface of your skin. This controlled, precise cooling technology freezes the fat cells, but leaves the surrounding tissue unharmed. The FDA-cleared treatment is safe and comfortable. Your aesthetic specialist secures the CoolSculpting applicator in place, and it uses gentle suctioning action on the fat while numbing the area. Within a few minutes, you won’t even feel the fat being frozen away. You can read, check emails, or take a nap while your unwanted fat cells freeze. You can return to your normal activities following your appointment, too, so there’s little interruption in your busy day. Like CoolSculpting, truSculpt is another nonsurgical approach to body contouring. The biggest difference is that the truSculpt system uses heat to destroy fat cells, rather than freezing them. The heat from the truSculpt applicators comes from an innovative radiofrequency (RF) technology. The RF energy targets fat cells to heat them to a high enough temperature that destroys them. Just as your body eliminates the frozen fat cells after a CoolSculpting treatment, your body flushes away the heated fat cells — up to 24% of them after a truSculpt single treatment. Most men and women notice the most dramatic results about 12 weeks after a truSculpt session. Treatments can be as quick as 15 minutes per area, and you can come back for additional sessions to achieve your desired results. Our team at Sublime Aesthetic Professionals customizes a plan based on your individual needs, and how much fat you’d like to get rid of. The comfort of heat, which many people describe as feeling similar to a hot stone massage, is what makes truSculpt a relaxing procedure. While fat cells are unable to stand up to the thermal energy below the surface of your skin, your skin remains safe and unharmed. Skin in the treated area might be sensitive immediately following a truSculpt session, but you can otherwise return to your usual routine without downtime. The truSculpt body-contouring system works well on belly fat, as well as upper arms, and inner and outer thighs. Both CoolSculpting and truSculpt body-contouring treatments are permanent fat-reduction solutions for all those hard-to-tone areas. That’s because once fat is destroyed — either through freezing or heating — it’s gone forever. Destroyed fat cells don’t regenerate in the same location. This means a flatter stomach, less jiggly arms, and firmer thighs in a matter of weeks. Fat loss is different than weight loss because when you lose weight, you simply shrink the size of existing fat cells. Nonsurgical body contouring, however, doesn’t just shrink the fat cells, it destroys and eliminates them. If you’re one of the millions of Americans who’s unhappy with certain areas of your body, isn’t it time to do something about it? CoolSculpting and truSculpt are safe, proven methods that consistently deliver results with minimal effort. That’s quite a contrast to fad diets and exercise, don’t you think? Let our skilled team of nurses and aestheticians help you decide which treatment will work best to help you achieve your desired body-sculpting results. It’s our goal to help you become happier with the skin you’re in. Call today to schedule a consultation or book one online. Your skin is like any other surface, and it’s amazing what peeling back the outer layers can do for a fresh and vibrant new look. If your skin is looking a little worse for the wear this winter, we can brighten it up with a chemical peel.